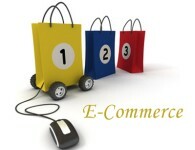 Shopify is one of the finest online store development platforms for exclusive brands. The platform is quite flexible, adaptable and provides plenty of awesome features for putting your eCommerce store at the top of the pile. Highly Responsive: A considerable benefit of this platform is that all of Shopify themes are truly responsive. Having a fully responsive eCommerce site it empowers visitors to comfortably browse and interact with your site, whatever sort of device they use. So, every mobile user will get an engaging experience during the visiting your store. Advanced Search & Filtering Opportunity: Being an online store owner, you have a variety of products that probably comes in different dimensions, hues, and materials. This platform allows the store visitors to easily filter the products as per their choices. Great Social Integration: Presently, Social media is a quite important tool for brand promotion and global marketing. Thankfully, Shopify is blessed with some great features for seamlessly integrating social media into your website. You can easily link your social media accounts to Shopify store, making easy communication and interaction for your worldwide customers. Display Store Products Effectively: The Shopify platform provides an awesome selection of eye-striking themes, any of which would make a great launch for your eCommerce store. Shopify powered themes can put photography right at the center, using high dimension images to demonstrate your store's products best features. If you are looking forward to grow a strong eCommerce store, then no doubt Shopify will be the finest choice. Shopify Development Company in India, eCommerceOneStop provides marvelous setup and robust eCommerce management services with outstanding features.